Just 30 miles from downtown St. Louis resides the Midwest’s largest private residential solar farm at the time of its installation. One of the top five nationally, the photo voltaic system was installed by Bates Electric to power the approximate 20,000 square-foot, turn-of-the-century industrial space designed by Jeannie Brendel, Brendel Architects, and built by Chris Pagano, Pagano Development. (Also featured on page 55 of this issue). The farm, which is adjacent to the home, produces approximately 40 kilowatts of energy per hour when running at maximum capacity. The system is designed to provide up to 39,360 watts of electricity during optimal sunlight hours. It offsets the usage from the power company and in certain circumstances could allow the homeowner to be able to sell his electricity back to the power company. 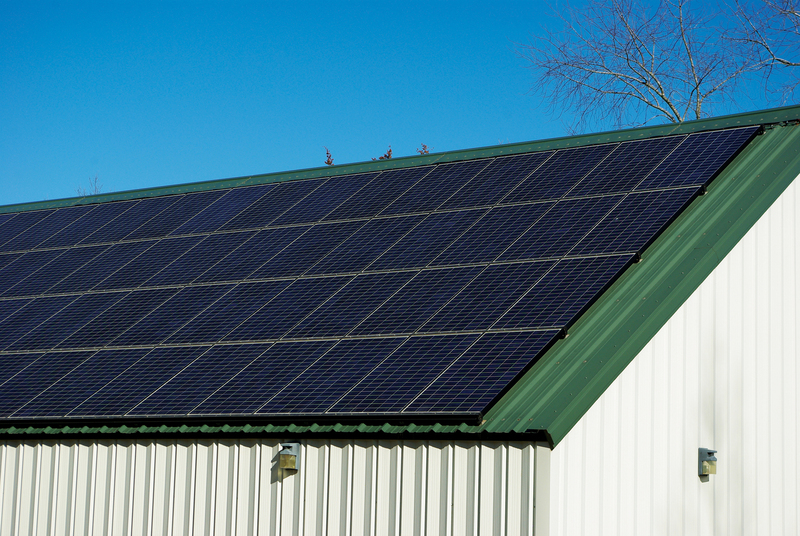 A total of 192 Evergreen 205 watt panels cover both slopes of the structure’s roof. Solar energy is converted and transferred to the home through four Fronius IG Plus 10 kW inverters that are each fed from three series strings of 16 modules. According to the Solar Energy Industries Association, solar panel installations grew by 76 percent in the U.S. in 2012. The Missouri Department of Natural Resources offers several incentives to homeowners who install solar panels. Currently, a 30 percent federal tax credit is offered. Ameren Missouri also offers a $2 per watt-installed rebate for systems up to 25kW. Visit the Department of Natural Resources website for more information. If you are interested in solar energy panels, contact a local provider for an energy audit. The most effective location for panels is a direct southern view of the sun to capture the most energy possible. However, panels can be mounted in any direction but will function at a diminished capacity. Many other factors also must be investigated: pitch of the roof, type of shingles, spacing of joist, items penetrating the roof such as vents, flues, etc. Not only could you be saving money on your monthly energy bills, but also you can be sustaining the environment at the same time.